The Department specialises in the cutting-edge treatment of blood diseases, particularly cancers of the blood and lymphatic system. As a team, we offer the best possible care with the latest treatments for patients with complex blood disorders. 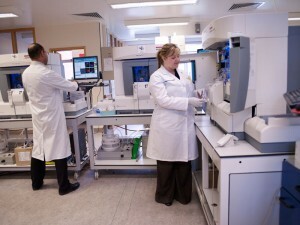 The Department of Haematology and Stem Cell Transplantation provides services to Birmingham Heartlands Hospital, Good Hope Hospital and Solihull Hospital. We offer a Multidisciplinary Team Working system, with doctors and nurses working together as a team. 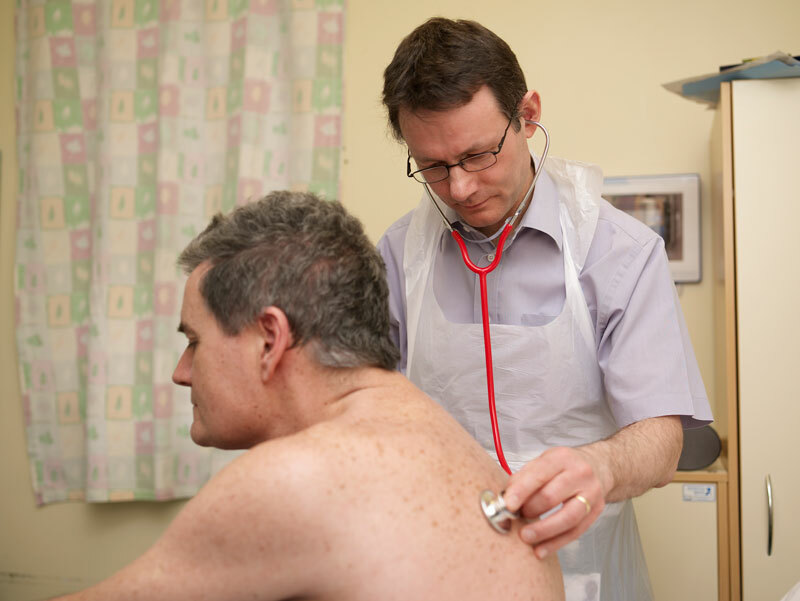 The majority of patients we look after will have some form of malignant blood disease, and their case will be discussed at regular multidisciplinary team meetings when all the pathological slides and X-rays will be reviewed and the best treatment agreed. We assign key workers (usually one of our Clinical Specialist Nurses) to each case, to allow for personalised care. This professional discusses treatment with the patient, answering questions and providing support and materials. In addition, our team approach means patients are able to see a variety of doctors at different times, but enjoy the use of one named consultant who is assigned to be in charge of their care. Our main in-patient ward is Ward 19 at Heartlands Hospital. Much of the treatment is carried out as an out-patient or in well-equipped Day Units on the Good Hope and Heartlands sites. Out-patient clinics are held on all three sites and in addition at Lichfield and Tamworth. Patients requiring intensive treatment for leukaemia or those undergoing transplantation are admitted to Ward 19 at Heartlands Hospital which has specialised isolation facilities to control infection and a large team of highly trained nursing staff. Patients living in Sutton Coldfield who need hospital care for less intensive treatment may be admitted to Ward 10 at Good Hope Hospital. The Department takes a keen interest in clinical and laboratory research and we have enrolled highest number of patients to research trials in the West Midlands.